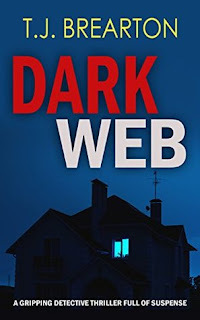 Dark Web is a chilling crime thriller that takes the reader into a dark world that most of us probably didn’t even know existed. It is a story with lots of twists and turns and each one is more disturbing than the last. The story begins with the relocation of a family from Florida to a small town called New Brighton in upstate New York. Mike and Callie Simpkins and their three children have only been in their new home for a couple of months when an unthinkable tragedy befalls them. The family implodes and the rest of the novel is both the resolution of the mystery that has engulfed them and a depiction of the kind of personal hell that every family dreads. T. J. Brearton is an assured story teller who keeps us guessing right until the very end. He somehow manages to cast a shadow over every character and I found myself suspecting everyone as I raced through the novel to find out what had really happened. The ending, when it comes, is both clever and unexpected. The story is told in the 3rd person from several points of view and consequently there are a few main characters. My favourite is Jack Swift, a seasoned detective who is at odds with the modern world and its dependence on technology. Mike and Callie Simpkins start off as ‘every couple’ but over the course of the novel we realise that they may not be what they first seem. I particularly like the way Brearton has lots of great strong female characters such as the pathologist, Janine Poehler and Brittney Silas the CSI. Brearton uses the setting of New Brighton to great advantage. The Simpkins arrive in winter and the small town is blanketed in heavy snow which hampers the investigation and creates a feeling of tense isolation. As Brearton describes the icy cold conditions, it matches the chilling incidents taking place within the story. 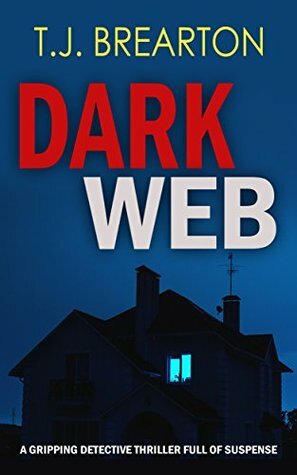 Much of the investigation involves the dark web of which I had no knowledge until I read this book. It’s a dangerous, murky world and its tentacles reach far and wide. Brearton creates a believable scenario which would terrify even the stoutest of hearts. What this novel highlights is the chasm between the old and new. Jack Swift represents the older, pre-technology generation whilst the younger characters are able to manipulate events from a place that he doesn’t understand. I really enjoyed this book and it kept me reading well into the wee hours as I just could not put it down. If you like crime thrillers then I think you will love this one.